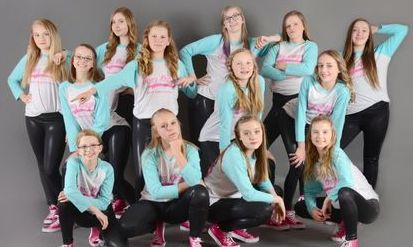 Danz Kraze is the only studio in the Eau Claire area offering high school-style dance teams for youth - teaching Pom, Hip Hop, Kick, Jazz, Ballet and Acro Dance. We provide an atmosphere where dancers can grow in their technical and performance abilities, as well as build self-pride and self-discipline. We aim to provide a team experience, as well as the opportunity to meet new people, create lifelong friendships, and to have fun! At Danz Kraze we pride ourselves in helping to prepare dancers for a successful transition into a competitive high school dance program. A vast majority of high school dance team members in the area have studied at Danz Kaze. We love watching our students progress into beautiful dancers and respectful, young adults in the community. With a variety of class offerings we strive to provide appropriate instruction to benefit each dancer. We are a family friendly environment in many aspects, including music selection and costume choice. In addition to our Spring Show, all classes will perform several times per year at local events. Competition teams will attend out-of-town competitions, as well as perform locally. We are excited for our new three room studio this season that is located in Banbury Place in beautiful, downtown Eau Claire! Each classroom is equipped with newly finished wood floors, mirrors and a lot of classroom tools such as ballet bars, acro mats, yoga blocks and mats, jump ropes, and much more! 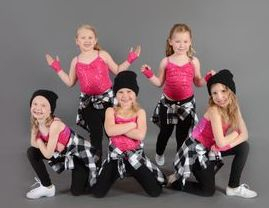 Danz Kraze families click here to view accounts, see classes, etc. Thank you for your interest in Danz Kraze!